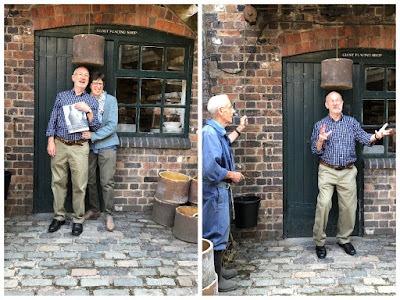 at Gladstone Pottery Museum, Longton, Stoke-on-Trent. by Councillor Lillian Dodd, Lord Mayor of Stoke-on-Trent. 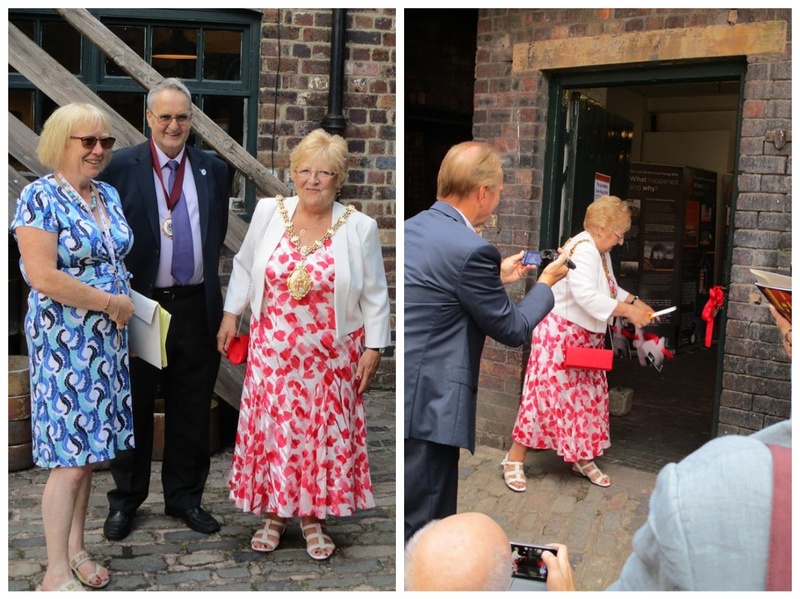 Here she is cutting the ribbon, introduced by Angela Lee, Museum Manager. 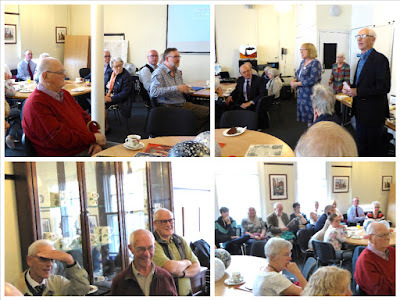 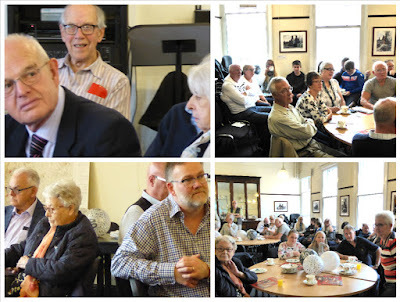 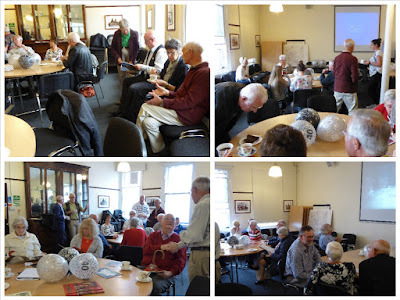 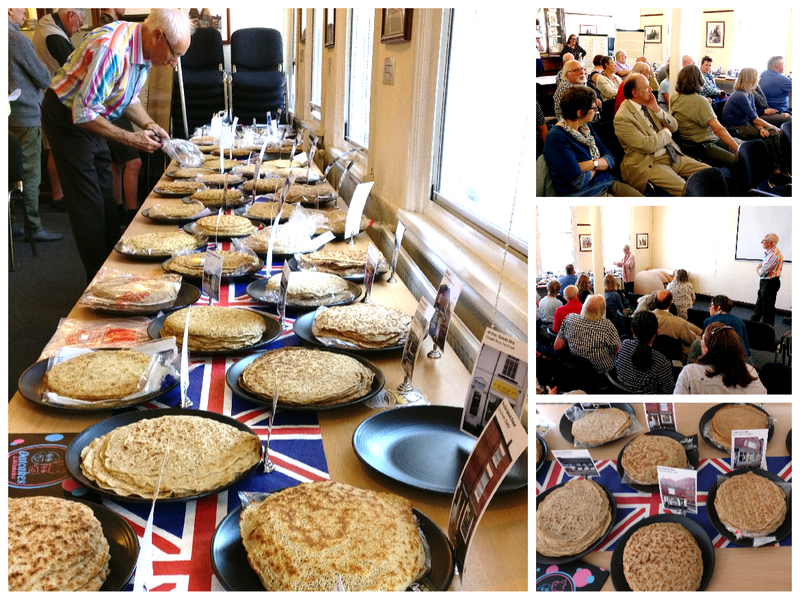 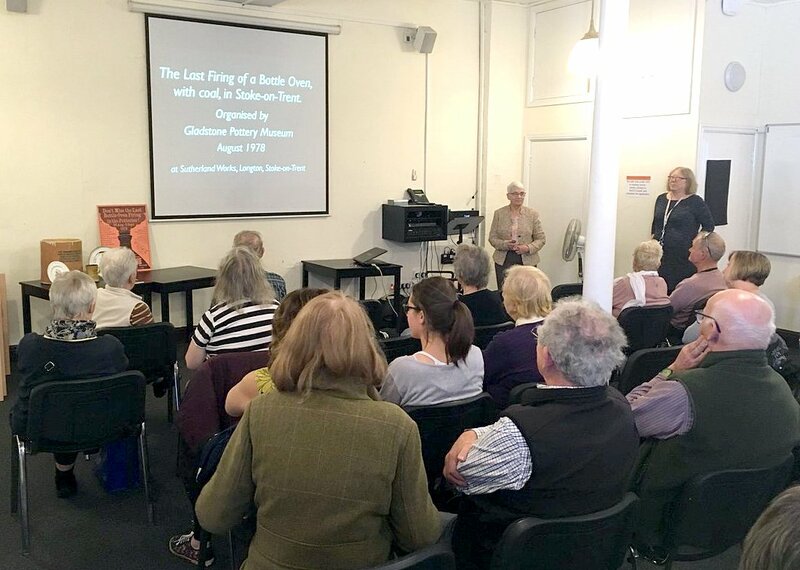 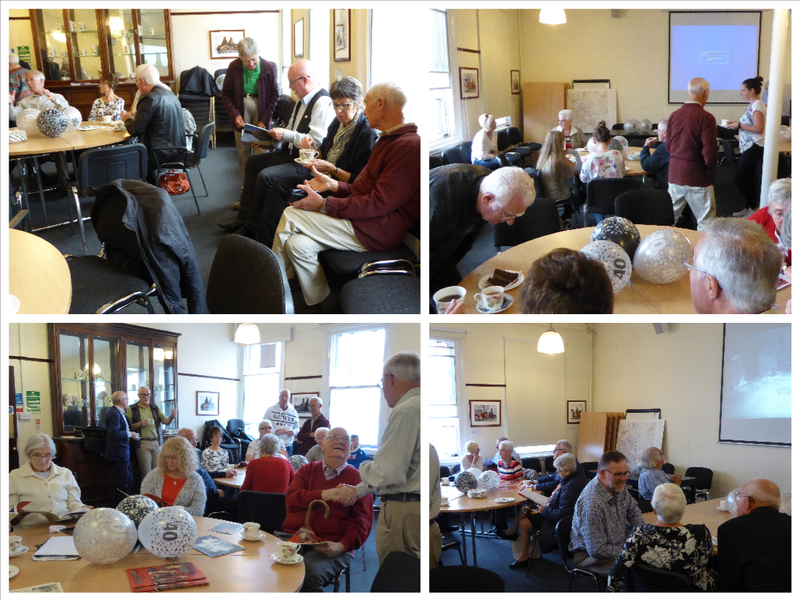 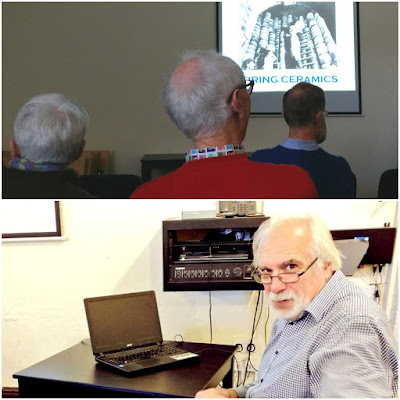 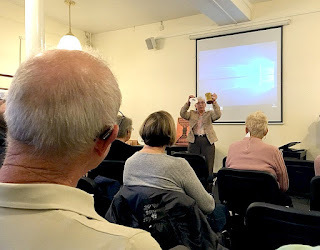 ‘Baxstuns, Sprittles and Oats’ Dr. Pam Sambrook (historian and author of The Staffordshire Oatcake – A History) gave a historical review of the origins and development of the Staffordshire oatcake, from the Pennine moorlands to the Potteries. Then Ray Johnson MBE celebrated all things oatcake - the king of foods in Stoke-on-Trent. 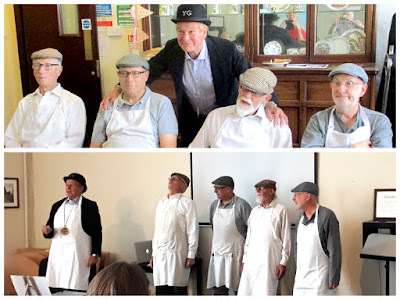 Together with four volunteers he recreated the Ancient Ceremony of the Grand Order of Oatcake Tasters as performed down the centuries - ending with the immortal Oatcake Anthem. 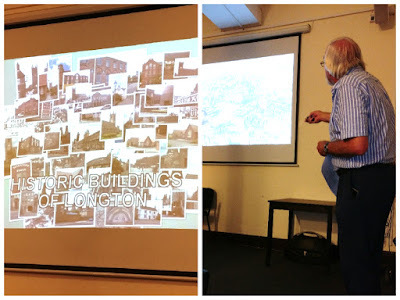 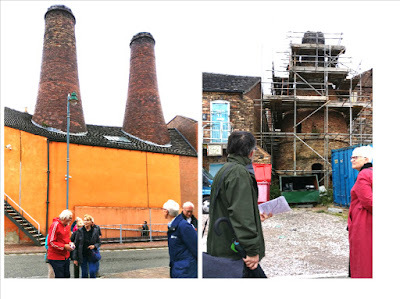 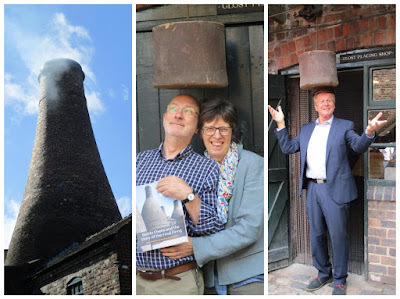 Excellent guided walk by Phil Rowley visiting most of the remaining bottle-ovens in Longton, as well as a number of other interesting buildings. 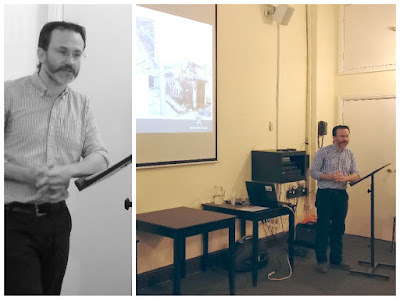 Bottle Ovens – An Archaeologists View - Talk. Stoke-on-Trent City Archaeologist, Jonathan Goodwin, explored bottle ovens from the ground up. 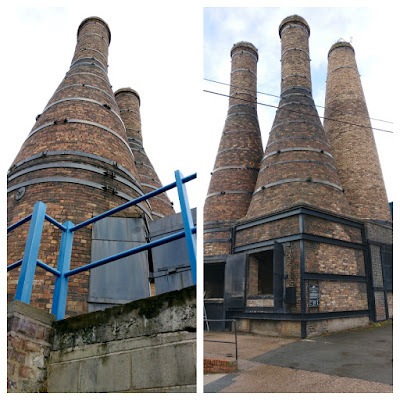 Short tours to see most of the remaining bottle-ovens in Longton - and plenty of other interesting buildings in the town - on board a 1978 PMT double-decker bus. 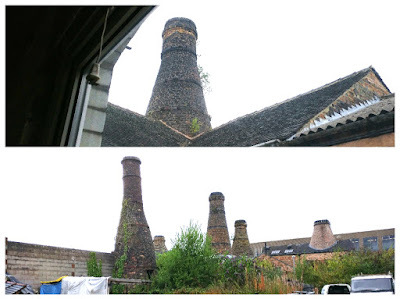 The bus went past the bottle oven which was the last one ever to fired in The Potteries at Sutherland Works in Normacot Road, Longton. 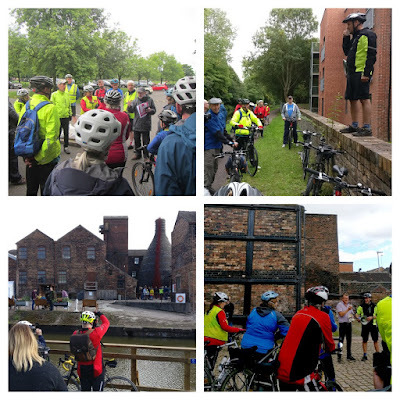 Information was provided on-board by your 'conductor' Phil Rowley. after doing his 'conductor's job' on the top floor! 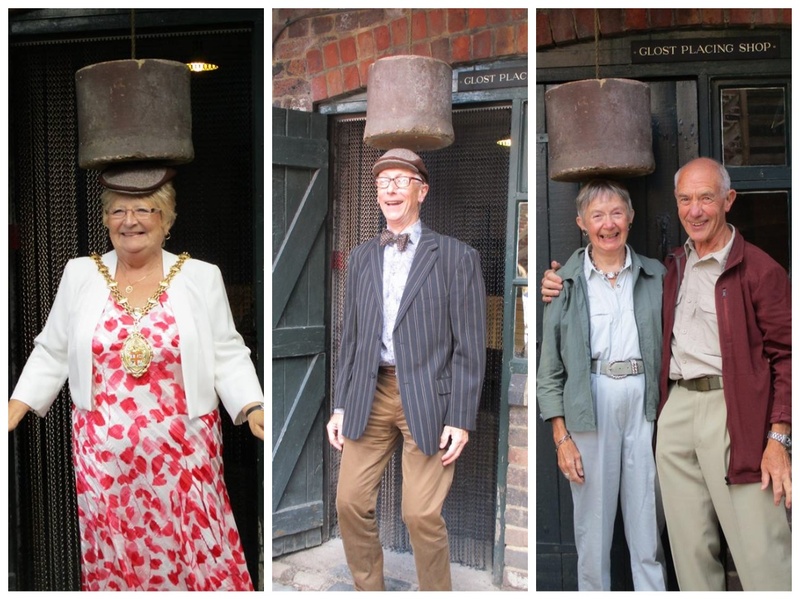 Using theatrical smoke-making machines Paul Niblett, long time volunteer at Gladstone Pottery Museum, successfully created an illusion for visitors! 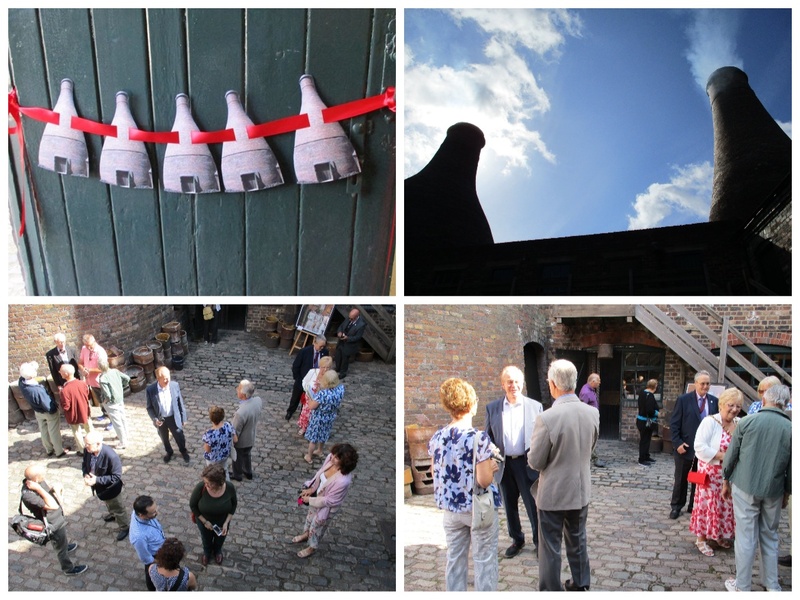 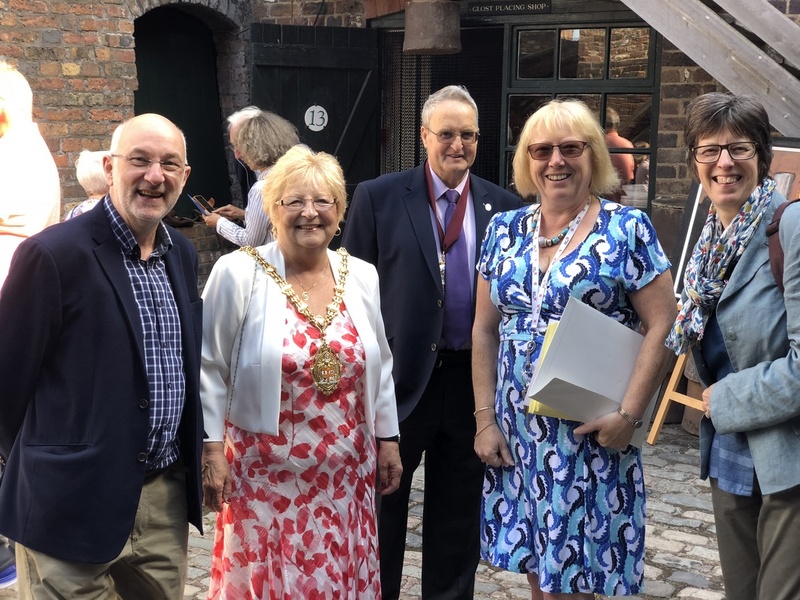 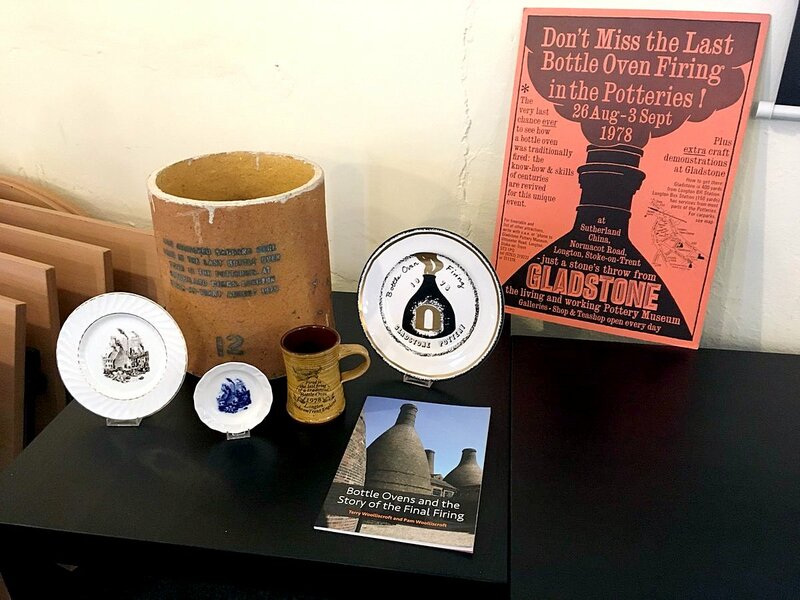 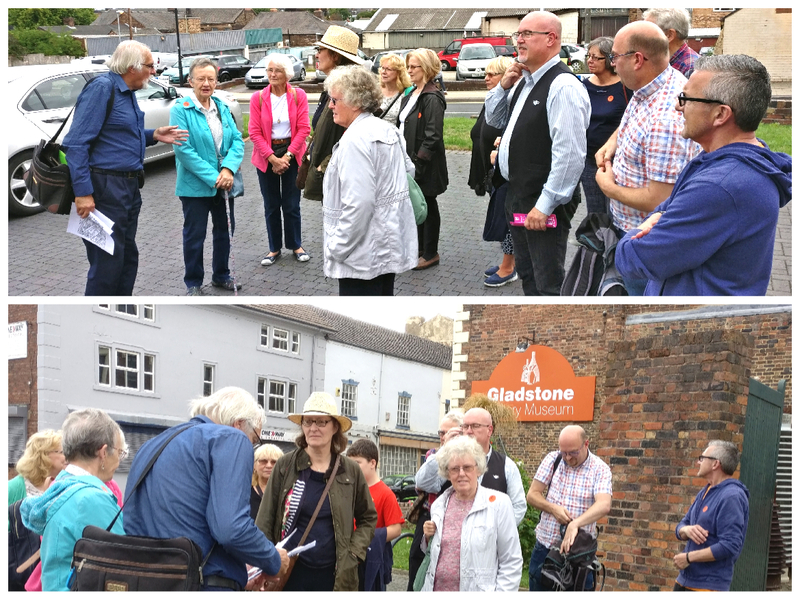 During the officially-registered 'Potteries Bottle Oven' day some of the volunteers who made the final firing happen in 1978 were at Gladstone Pottery Museum to chat with families and descendants of the original placers and ovenmen. 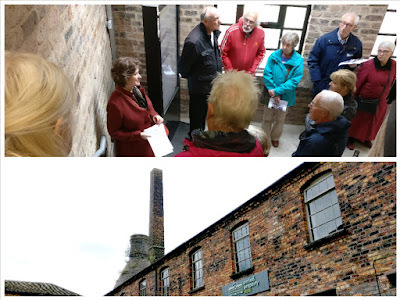 David Sekers, Director of the museum back ion 1978 described it as "a really heart-warming party: such a good bunch of people ..."
Jane Corfield and Jon Goodwin of Stoke-on-Trent City Council’s Heritage Team make a walking tour of Longton Conservation Area. 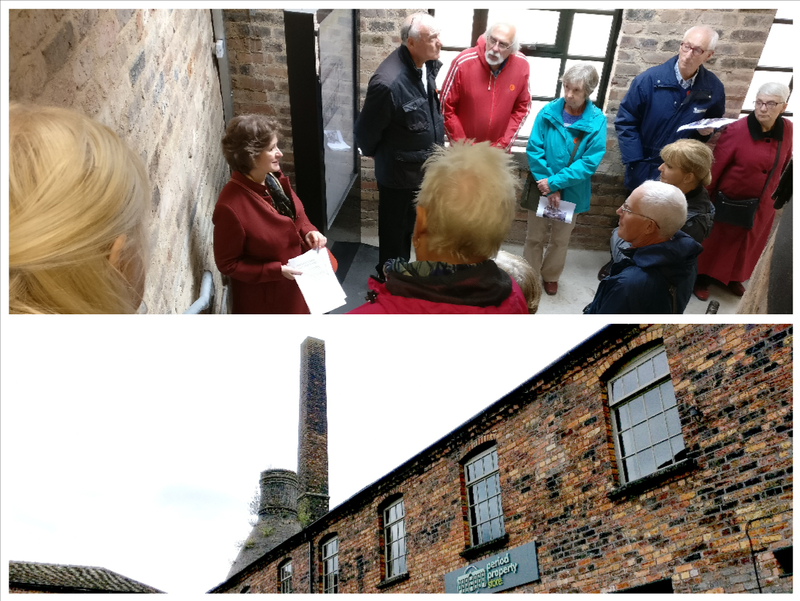 The tour took in the key elements of the conservation area and outline its history and development. 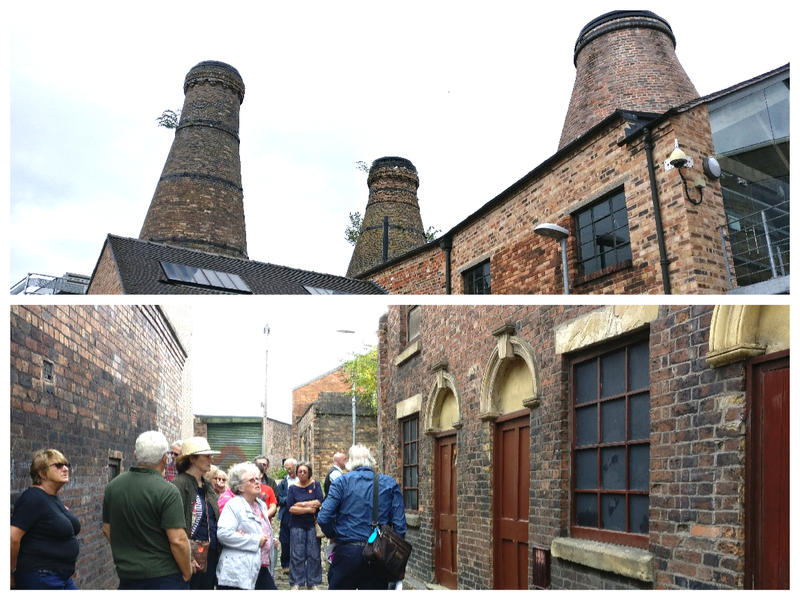 Potteries Heritage Society event - a pleasant morning cycle taking in 20 bottle ovens in the north of the Potteries. 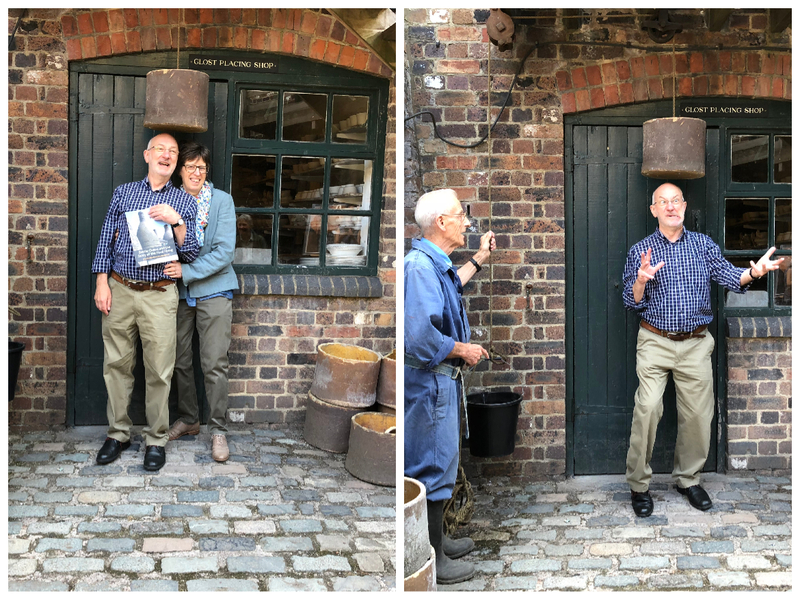 Wednesday 26 September Phil Rowley's "Firing Ceramics"
Kathy & Paul Niblett were members of the organising team for the last firing of a bottle oven, with coal, in 1978. Their fascinating talk covers the organisation behind this significant event and the challenges it involved. 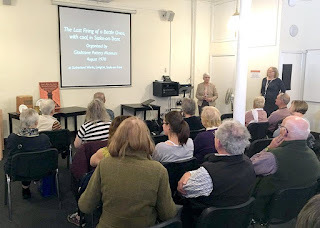 Kathy Niblett presented the talk to a lovely large audience at Gladstone Pottery Museum.